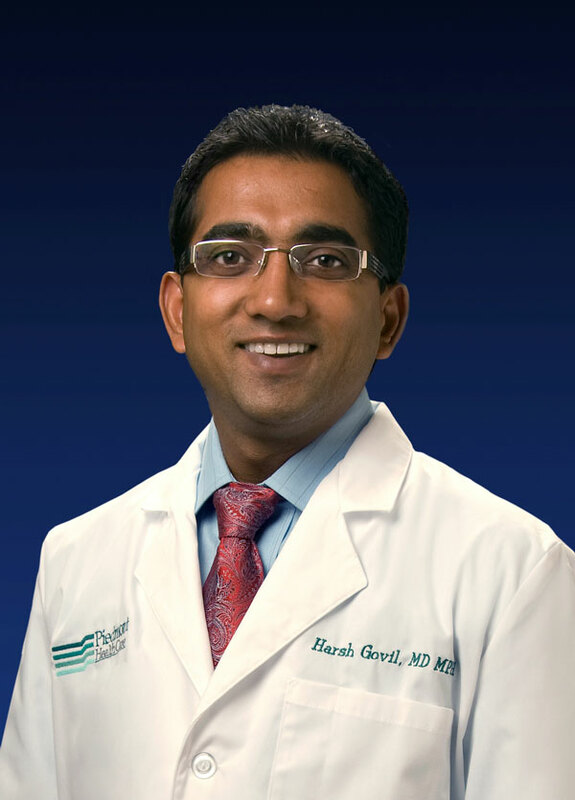 Dr. Govil joined Piedmont HealthCare as a non-surgical spine specialist. After completing residency in Physical Medicine & Rehabilitation he went to Cleveland Clinic’s world renowned pain management center for fellowship training in Interventional pain management. During his fellowship he received specialized training in managing low back and neck pain caused by various spinal conditions. Dr. Govil offers the latest, most advanced techniques available for pain management. He is certified by the American Board of Physical Medicine with subspecialty certification in Pain Medicine. He provides very compassionate care for his patients with advanced, clinically proven solutions to help alleviate their pain and improve quality of life.